The Elves are a secretive race who guard the trees.They are similar to the Fairy realm in that they have different levels of consciousness within their race. The Elemental Elves tend to the roots of trees and plants as they are of vital importance to the soil ecosystems of the planet. Elves love the rain as it is the best thing to energetically purify the undergrowth of which they are the guardians. 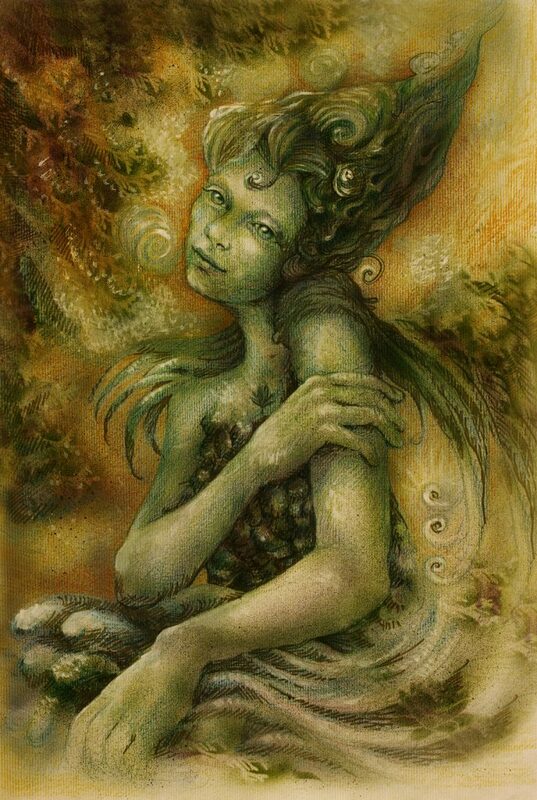 Similar to the Faeries the larger Elves live in Royal courts in the forests headed up by a King and Queen. These Elves use sound and song to heal the trees and the land. Alphedia has been working with them for six years to assist their race and help their magic to return to the land. Their energy is powerful yet enchanting. It is slightly different to the Faery energy which is more fiery. Alphedia is writing about her Elves experiences in her next book “The Magical Adventures with the Fae”. The Elves connect through the heart chakra with us. They are wary of humans because of all the deforestation we have caused. Many souls who were previously Druids are remembering their connection with the Elven realm. The Elves are calling to those of you who have a connection to this realm. They ask you to listen to this call and assist them in rebalancing the world we live in. The Elves are keepers of ancient secret magical knowledge which they are willing to impart to those who are ready to assist with their work.They work alongside the Fairies and Gnomes. Connecting with them will reawaken knowledge you carry within you from previous incarnations and many incarnate Elves are waiting to be reawoken at this time.